The latest update from Snapchat allows users within the UAE region to be part of the fun when it comes to custom, personalized filters. 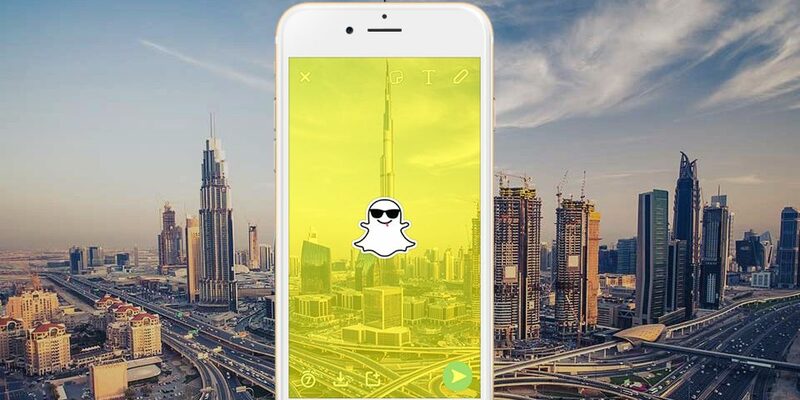 Until now Snapchat geofilters have been unavailable within the UAE for several reasons, leaving a large portion of Snapchat users without this crucial tool. As Snapchat is fast becoming the most popular social media network among millennials and is as commonplace in anyone’s iPhone as Facebook, Twitter and Instagram there is a huge amount of opportunity to use it for any number of things. Businesses are seeing the unlimited potential this platform has, while personal users are finding new ways to connect with one another every day. Now that Snapchat users in the UAE have access to geofilters, they will be able to expand their usage of the app to include overlay graphics that can take your snaps to the next level. Essentially, geofilters are a graphic image that sit over a snap when you are in a certain location. To find the geofilters available in your area simply swipe right on your image once you have snapped it and see what the ones nearby look like. In the past most geofilters have been location-based (so a fun image representing London when you are in that city), but have now been rolled out to include personal and business filters. This means that you can create your own for your company or yourself with whatever graphics you like. This is huge news for businesses wanting to expand their reach on Snapchat. If you have an event happening, then you can pay for a geofilter to become available whilst you are in that location and anyone who comes to your event can use it whenever they send a Snapchat. This increases your reach to people beyond your event and, if the graphic is fun and appealing to your audience, then it provides an incentive to share your event over social media. The price of creating your own geofilter (a mere $5 per 20,000 square feet) means that even if only a few people share it you will get incredible value for money, which is great if your marketing budget is feeling a bit stretched this month. For personal use geofilters give you the opportunity to make a day feel special. It can be a fun way to add some personalization to a wedding or birthday and make everyone attending feel included and reaching for their phone camera. Again, the low cost makes geofilters easily a last-minute addition to put the icing on the cake. If you are in the UAE and are wondering how you can go about getting your hands on a custom filter, then there are two ways you can go about it. The first is the DIY method. Being able to do it yourself is an amazing plus to the process, as you can have full creative control. Snapchat has a few guidelines to help you through it, but mostly the design is up to you. You will need some design skills to begin with, and a working knowledge of Adobe Illustrator. The key points to bear in mind are: the filter should be 1080 pixels by 1920 pixels in .PNG format, under 300KB and cover only 25% of the screen (to be able to see the original photo behind it). You can get creative and come up with almost anything for your geofilter, although if you are registering it for personal use then it must steer clear from any logos and branding. If your inspiration is running a little dry, or you haven’t quite got your head around Illustrator just yet, then Snapchat has some great templates to get you started on their website. The next step is uploading your template to Snapchat on-demand and selecting your preferred date, time span, and location. It must be less than 5 million square feet and you will probably want to go a little over the lines of your desired area to make sure you are capturing it all. The next step is payment and you are ready! The second way to securing the ideal geofilter for your special occasion is by using a professional company. Companies that specialize in designing bespoke geofilters can be a great option if your art skills are less than ideal. Something like CustomFilterz will begin with a consultation to find out what you want to get from your filter and how you imagine the feel of it to be. You might know exactly what you want, and just need someone to do it for you, or you might have only a vague theme or idea in mind that you would like help developing and actualizing. In both instances, you can hand over the reins to a more experienced designer who will do all the necessary steps for you. They will handle the process to the finish line, including inputting your data on time span and location, meaning you don’t have to worry. This route to a personalized geofilter usually results in a more professional looking design, which is perfect for a business or a large personal event, such as a wedding. Whether you decide to create the filter yourself, or through an external company, you will have access to analytics once it goes live. These are fairly basic metrics that show the uses and views of your filter in order to see how far you have reached for your cost. Snapchat geofilters are the future for both business and personal use. The cost makes them an extremely cheap way to generate excitement around an event. As they become available in more and more countries you will need to act quickly to appear innovative and unique on Snapchat (before everyone starts doing it! ).